Stealing Mr. Right is coming out in a little over two weeks, and we’ve got an excerpt and fantastic giveaway to get you ready for it! I’m a wanted jewel thief. What’s that saying? Keep your friends close…and your husband closer. Spending my days lifting jewels and my nights tracking the Bureau should have been a genius plan. But the closer I get to Grant Emerson, the more dangerous this feels. With two million dollars’ worth of diamonds on the line, I can’t afford to fall for my own husband. His voice was softer than I expected: low but controlled, the sound of an authority figure who knows he doesn’t have to shout to be heard. I’ve since realized that’s the most dangerous kind of man to go up against in a fight. He didn’t bluster and yell the way Riker did, and he didn’t speak in terse rebukes, the way I remember my dad doing when I made an error in the middle of a job. Grant was all control and manners. Since it appeared he wasn’t about to book me for fifty counts of conspiracy, I took a moment to appreciate him up close. From a distance, packed into a dark suit, always on the scent of something we didn’t want him to be, he really was more like a ferocious guard dog than anything else. But up close? Unf. There was nothing canine about him, and fear wasn’t my primary reaction. He was a behemoth, taller than me by at least a foot, his build not powerful so much as overpowering. He wasn’t handsome—at least, not in a clean-cut, underwear ad sort of way—but he was incredibly attractive. It’s possible for a man to be a perfectly assembled collection of model parts and invoke nothing more than a mild appreciation, like looking at a sculpture or a really nice diamond tiara. It’s equally possible for a man to boast coarse features, oversized limbs, and a rugged smile—and make a girl want to take off her clothes on the spot. He laughed but didn’t relax. I only noted this because men have a universal way of dropping their shoulders and opening their stance once they realize they’re being hit on. Women probably do it, too—you can almost see the walls coming down around their hearts—but Grant’s wide shoulders remained firmly in place. I stuck out my hand, hoping physical contact would do the trick. That look of surprise moved across Grant’s face again, but he managed to quell it long enough to take my hand and shake. It would have been pushing things to say there was a tingle of electricity, or that my life flashed before my eyes as the rough texture of his palm grazed mine, but there was no mistaking how strong his grip was. With just the flick of his wrist, he could have broken the bones in my hand, conquered me right then and there. Instead of being alarmed by his physical mastery, I felt no sense of danger. Only wonder. This man could crush me, I thought. But he won’t. 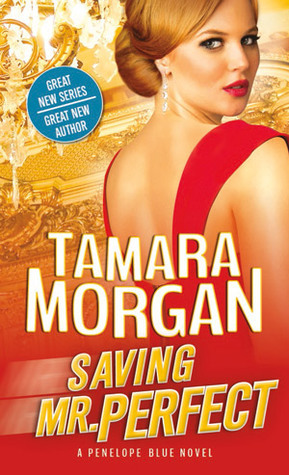 Tamara Morgan is a contemporary comedy romance author. Ninety-nine percent of her information comes from television, movies, books, and all other pop culture activities that limit the amount of time she has to spend in polite company. Her long-lived affinity for romance novels survived a B.A. degree in English Literature, after which time she discovered it was much more fun to create stories than analyze the life out of them. She lives with her husband and daughter in the Inland Northwest, where the summers are hot, the winters are cold, and coffee is available on every street corner. 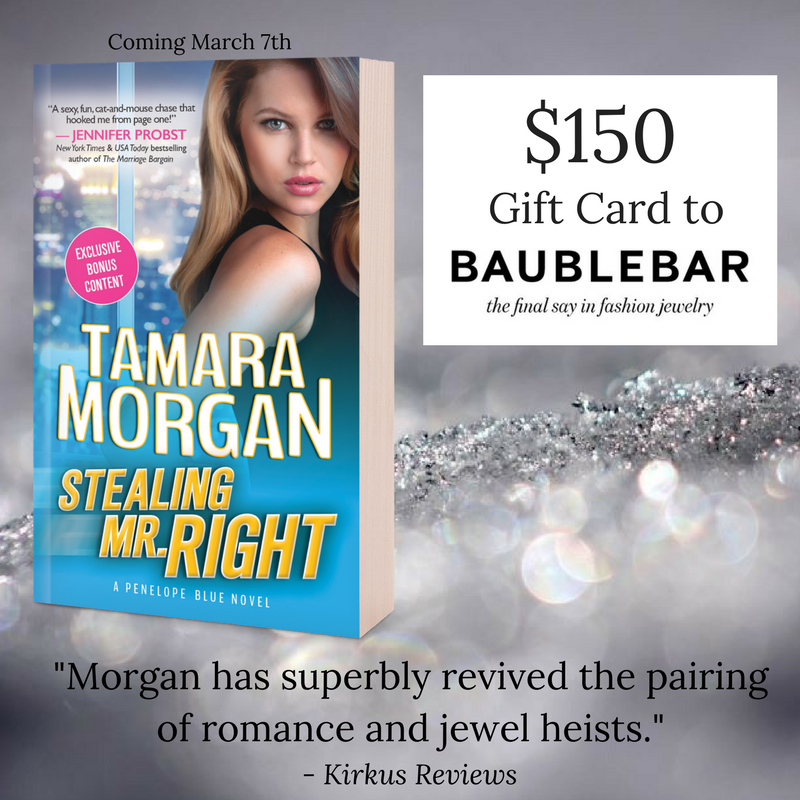 Tamara loves to participate in reader conversations, blog tours, and the occasional venture into public, so feel free to drop her an email at tamaramorganwrites (at) gmail (dot) com. Tamara is represented by Courtney Miller-Callihan of Handspun Literary and is a member of the Romance Writers of America.